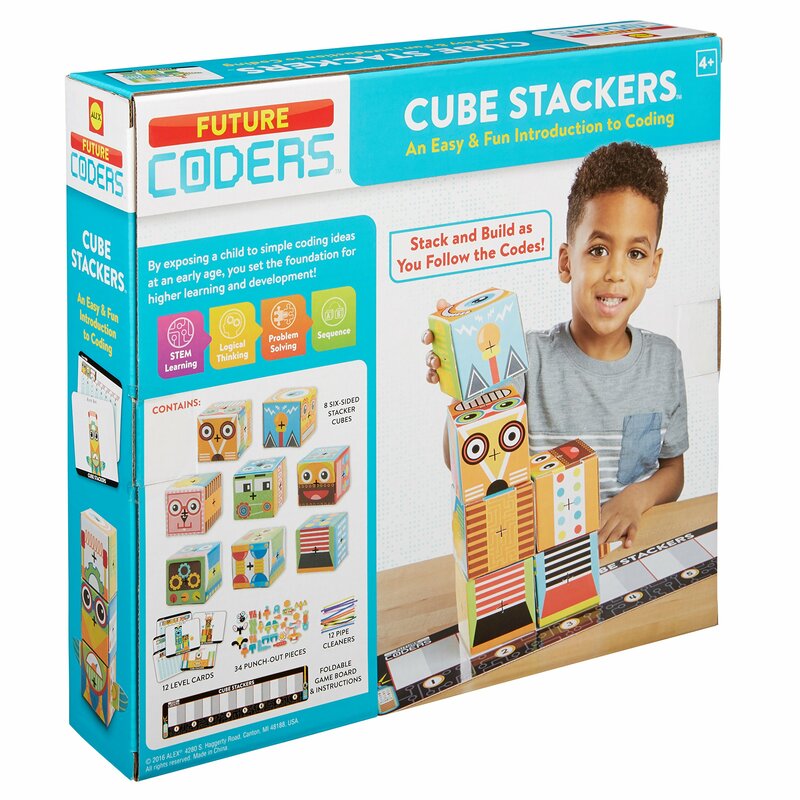 Stack and create cool cube creatures with Cube Stackers! With included challenge cards that mimic computer algorithms, follow the sequence of arrows and build animals with cardboard cubes, then check and see if your right. Add more crafty elements to give your creatures personality, and make up to premade 15 creatures or create your own.